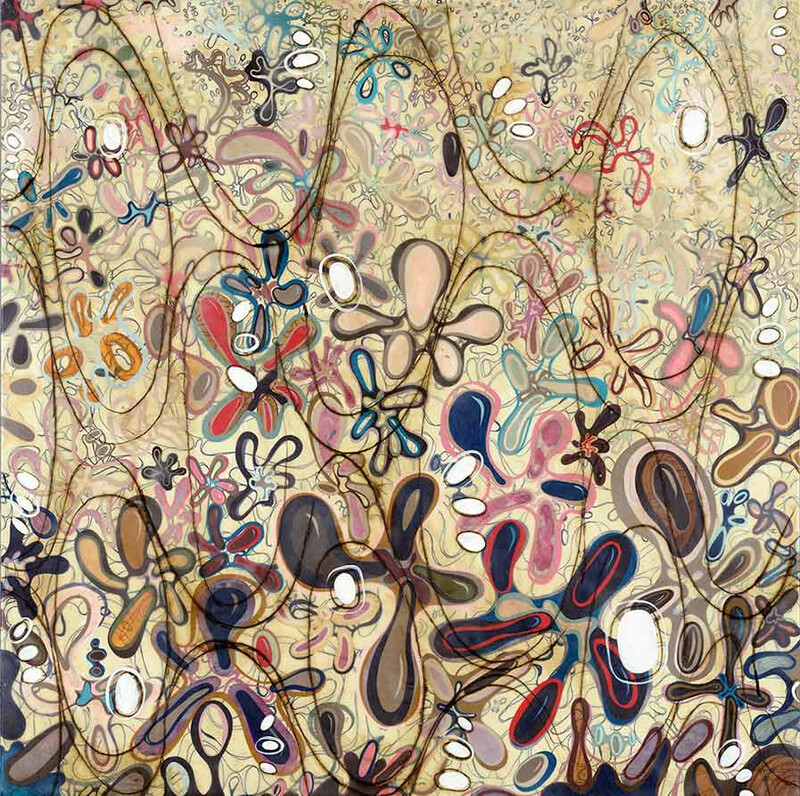 I am energized by organic, biomorphic forms which appear to converge, connect or float in space. Compositionally, my work has a strong emphasis on shape, color, and pattern, which can create a lyrical, visual movement. My goal is to engage the viewer and help them encounter ecstasy, vibrancy and beauty. In other words, to make the viewer feel good through a visual experience. Colors and structures inherent to plants and animals, as well as architectural and Hungarian folk art designs provide me with endless sources of inspiration. In regard to plants, I am deeply moved by their presence, especially when near a large gathering, say at a nursery or even the grocery store plant department. Elliptical shapes (eggs) are my visual refuge owing to their symmetrical/asymmetrical qualities and implicit connection to the idea of potential or renewal. With color, I am interested in bringing a saturated, full palette into my work to create energy. Outside of late spring, early summer, and autumn trees, my color use stems from the eye’s need to see chromatic balance – my answer to the Pacific Northwest’s desaturated, misty environment. Finally, pattern finds its way into my paintings through my fascination with ornamental European architecture, folk art motifs, lace and decorative stitching. My work is the embodiment of what I like to imagine, look at and experience, whether it manifests itself in color, shape, or pattern. I aspire to translate these rich and whimsical qualities into my work.